5/8"-18 fitting with 1/2" NPT adapter. 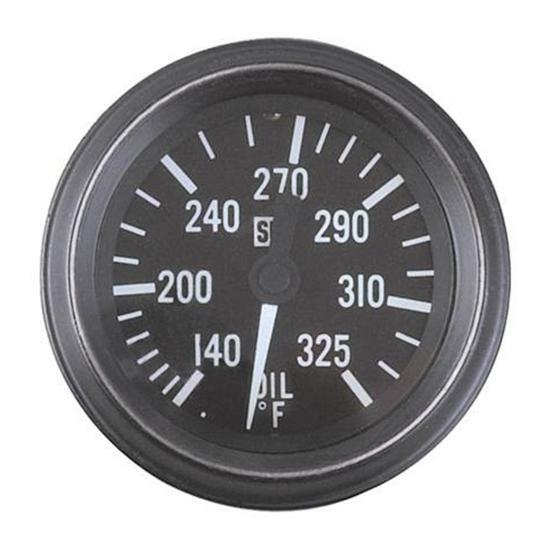 Stewart Warner Heavy Duty Series gauges feature bold white graphics on black face, 270° sweep dials with white pointers. The black raised bezel has a distinctive brushed bright rim and the patented 12 volt light ring provides excellent night-time visibility. Includes a 72" capillary tube.